There's more to buying and selling a property than what meets the eye. 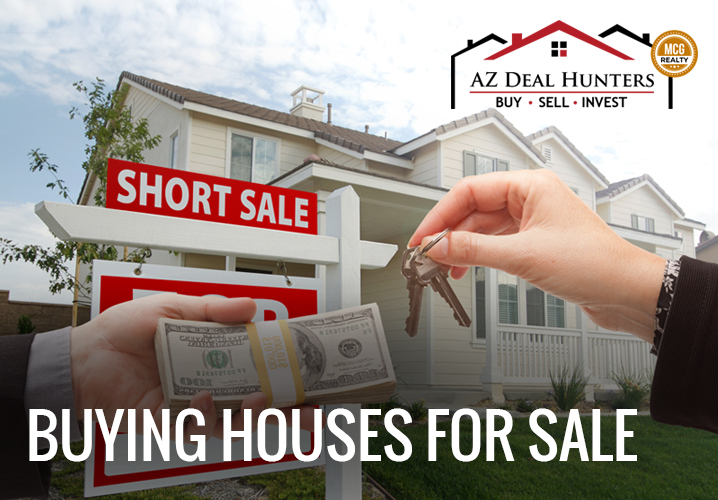 Fortunately, you can move past that with the help of the Arizona Deal Hunters. We have the right tools and the latest information about the real estate market that will help you make sound decisions. Behind us is our team of trusted and excellent professionals: Adam Gillick and Jeff Salazar. 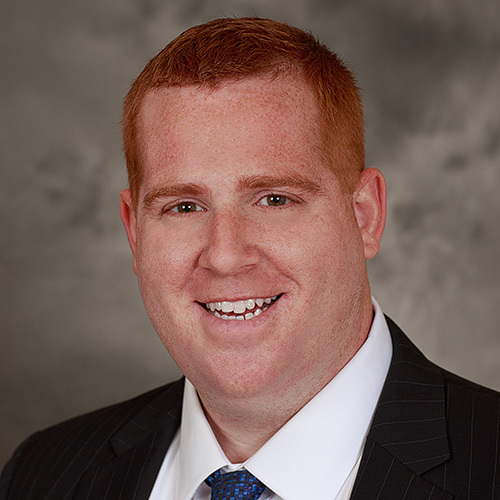 Adam Gillick has been in the real estate industry as a licensed professional since 2014. Yet, as far back as 2011, he has been investing in his own personal properties in the Arizona market. Since then, he has risen to be in the top 2% of agents in Maricopa County. He was awarded rookie of the year in his last brokerage and was recognized as one of the top 40 agents under 40 years of age in the Southeast Valley. So there is no doubt that when it comes to real estate, Adam is surely one of the best and most reliable there is. Jeff Salazar has been in the business industry for years before specializing in his real estate career. He has worked for four years as a Business Development Representative for Chase Paymentech, a division of J.P. Morgan Chase Bank, with the last two years spent as a Product Sales Specialist for Government and Non-profit accounts. This background in business aided him in building a number of connections as well as helped him perfect his business skills. Since then, his career in real estate has been a rapid success. He took what he learned and developed new relationships with buyers, sellers, and investors. He has been exposed to multiple real estate roles such as buying and selling the residential real estate, finding, acquiring and reselling residential flip opportunities, and even working on multi-million-dollar development transactions. Suffice to say, Jeff is definitely a well-rounded and high performing agent that will be able to help you achieve your real estate goals. 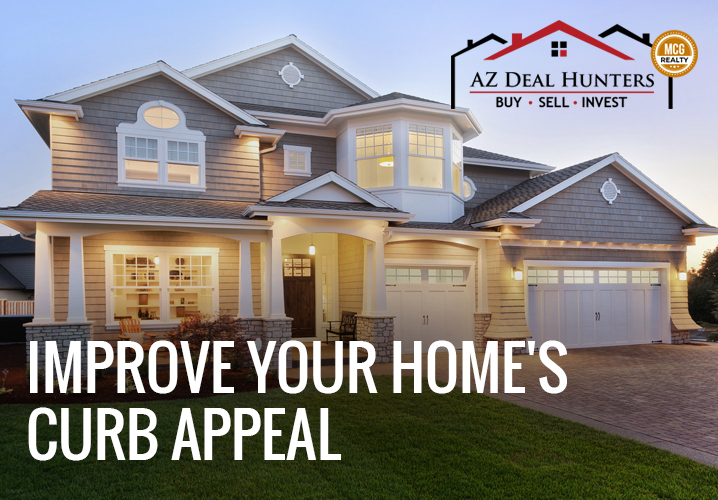 Here at the Arizona Deal Hunters, we provide a convenient platform for real estate by listing websites that allow customers to search the best real estate properties. We have streamlined the process of buying and selling a home that makes it easier for you to find houses in Arizona and other properties for sale. Through our team of industry experts, we can give you access to local home inspectors, contractors, interior designers, service providers, property managers, lending professionals, title and escrow companies, painters, gardeners, plumbers, electricians, home warranty companies and more! All of this to provide you the best service possible! Working as realtors in Phoenix Arizona for years, we know the common struggle of having to go through a number of property visits through all of the houses for sale. Not only is it tiring, but costly as well. You may even be considering finding a house for sale in Gilbert Arizona or Phoenix Arizona while currently living remotely. But with the help of the Arizona Deal Hunters, all you have to do is visit the different pages in our website and use the search tool. Our website features the best real estate search with its up-to-date database, completely updated by an official Realtor every 15 minutes. So you definitely won't miss out! You can also save searches and get daily email alerts of new listings, price changes, sold data, as well as market reports. On top of that, our Interactive Map Search allows you to view properties on a map and helps you refine your search by drawing the boundaries around the area you desire. Look for a trusted realtor – Almost everyone thinking of buying houses for sale would know that the realtor could either make or break your dreams coming true. And we surely know that underneath their help, they get a commission of the sales. Sometimes, this would lead them to drive up the overall cost of the property. On your part, you have to make sure that the realtor you work with is reliable and honest and takes your interest in utmost importance. 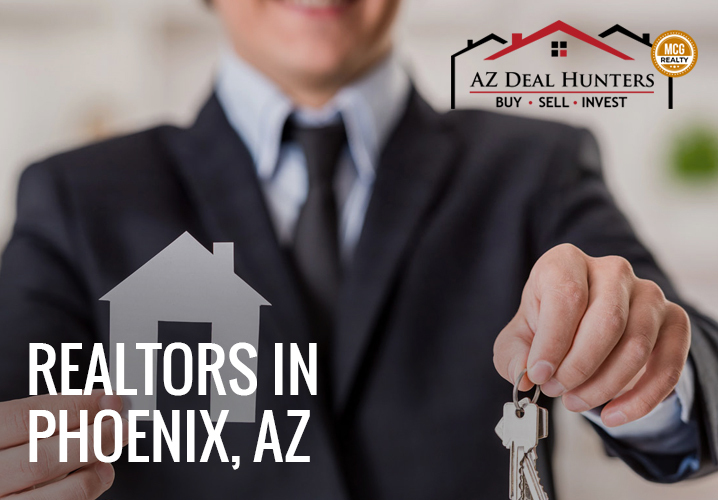 And working with us here at the Arizona Deal Hunters means working with such realtors in Phoenix, Arizona. Don't be afraid to negotiate contracts – Paperwork is definitely an essential part of the process of sealing the deal. When you buy a house in Arizona, it is important that you go through the contracts carefully. When you find something bothersome, don't be afraid to bring it up and negotiate. After all, you'll be the one who'll be ending up with the property for sale. If it all overwhelms you, then it is better to call on your trusted realtor to help you. Always consider the future – When buying houses for sale in Arizona, don't only look at what is in there at the moment. Assess your current situation and then give some space for the future. You may never know that someday you're going to have to expand. Always consider the future and take note whether the house you're looking at has some extra space for it. Think of what you can afford – Before you lose yourself in our real estate listings website looking for properties, remind yourself of what you can afford. By doing this, it helps to reassess your financial situation in line of the demands of the houses in Arizona. Be reasonable – When selling a property, we tend to get carried away when it comes to pricing. However, you must take note that the price of your property for sale is crucial to buyers. So avoid letting your emotions run high. Don't let your own personal attachments and emotions cloud your home's actual value. Be reasonable. Do some research – Nothing beats good research to help you with your decisions. And part of this is by interviewing people who are expert in the field. They are the ones who can give you sound and critical advice that would better your sell your house. Also, you have to educate yourself with the current tax laws in order to keep your negotiations legal and lawful without a hitch. We have a team of realtors in Phoenix Arizona that can consult with you throughout the process. Improve your property's curb appeal – Now everyone knows impressions are important. So to entice more viewers and potential buyers, you have to improve your home's curb appeal. This would definitely prompt them to buy a house in Arizona. A lot goes into the real estate world that you have to take note of. It is definitely not an easy enterprise. Yet, with the right mindset, you can always overcome and may eventually be on the top of it. One of the things that you have to be wary of is the market situation, which is divided in two: Buyer's market and seller's market. Take note of the competition – It's a hard situation to be in a buyer's market. Therefore, you must be able to take note of the competition by looking at the local housing market. From here on, set a fair price accordingly while considering the value of similar properties as a basis. Put up the best version of your property – No one can resist a good property. Not even during buyer's market. When the competition is too high, you must make an edge and there is nothing to beat that than making your property look at its top shape. Remember, with more choices, people tend to be more selective. So make your houses for sale irresistible. Selling low but buying lower – As a seller, a buyer's market is bad. However, if you are thinking of buying another property once you've sold your previous one, then the buyer's market could definitely be a good compromise. As you sell low, you can then buy a property much lower. So it's a win-win. Don't Sell Yourself Short – By this, we mean not to offer less than list price. You have to know that the competition is high so you have to put in more. Just remember to be conscious and within means. And also, if the property is something you really desire. Make Your Offer Attractive – One thing that attracts sellers is a large cash deposit. So offer big at the start. Anyways, you'll be paying that amount later on anyway at closing. Avoid Favors – Favors are a hassle for sellers at this time of the market. So don't discourage them by requesting some. Don't make them wait – Sellers are impatient during seller's market. Making them wait would only lead them to leave you out for other buyers. Show them that you are very interested in jumping on their market showing. Don't wait until the weekend to view the property. Visit or show up as soon as you can. No matter where in Arizona you are, when it comes to real estate, you can always count on a good real estate listing website to help you sell or buy. So whether you are looking for houses for sale in Phoenix Arizona, Gilbert Arizona or in any part of the state, you know that you are armed with the best information and advice there is. 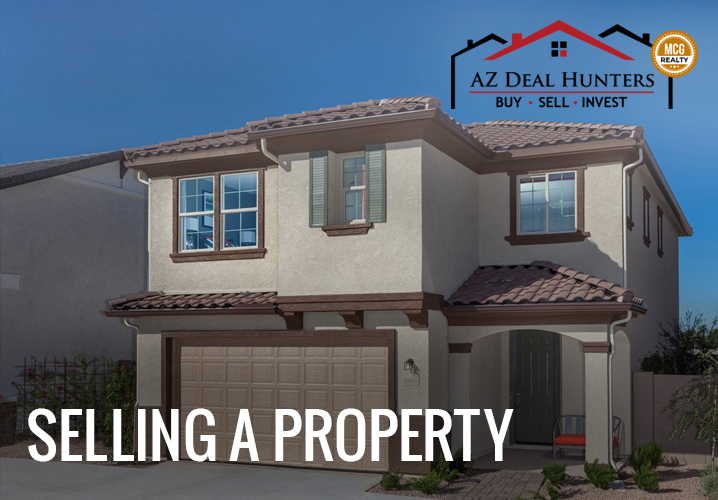 The Arizona Deal Hunters will offer you multiple solutions for your concerns in selling and buying properties in Arizona. On our website, you can find a number of tools that would aid you. You can look for a number of property listings that is constantly updated. And with our advanced search, you can refine and look for the perfect property for you according to the location as well as the specifications of the place. Present also is our market report, which shows you the latest trends in the market according to the kind of property you are looking for. 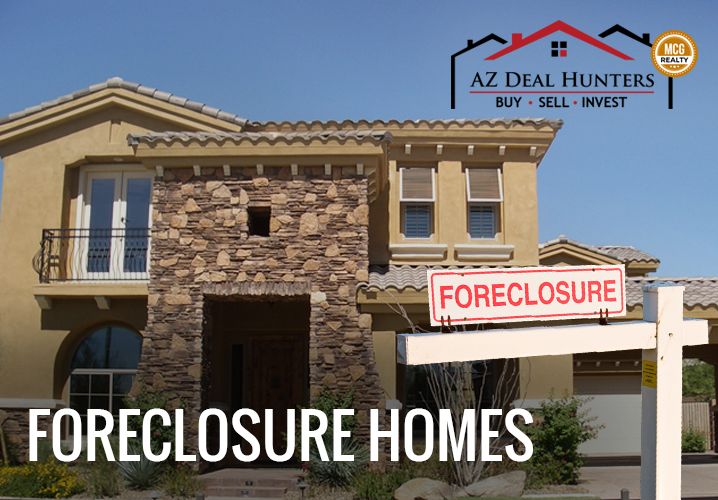 You can also check the latest foreclosures. On top of all of this, we have a team of realtors in Phoenix Arizona as well as other real estate related professionals that provide really good and professional advice. We know how it can be tough to go through all the processes alone. That is why we are always here to welcome and entertain all of your concerns. Looking to buy a house in Arizona or sell one yet still not sure what to do? Then don't hesitate to ask for professional help with us here at the Arizona Deal Hunters. We can give you great advice on numerous real estate concerns. Just fill in the form with your queries and expect to hear from us. You can also call our numbers for more information and details at 480-432-7049 or 602-332-3860.